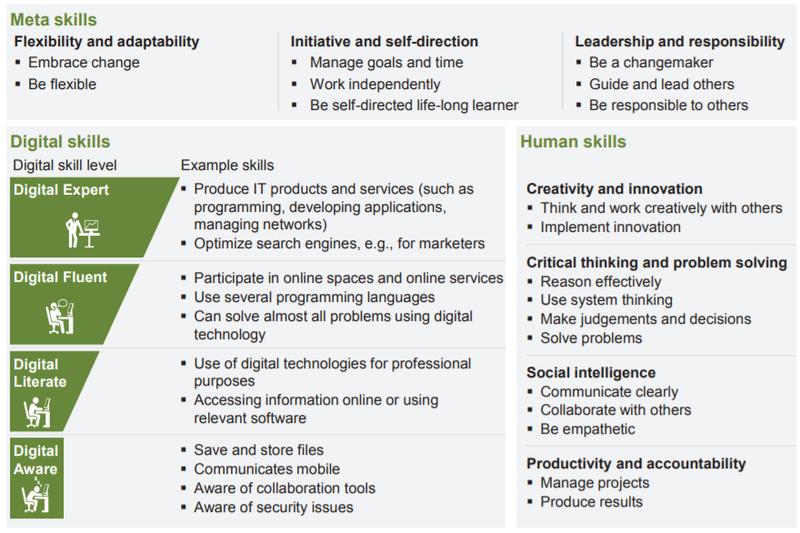 Human skills are 21st century skills. 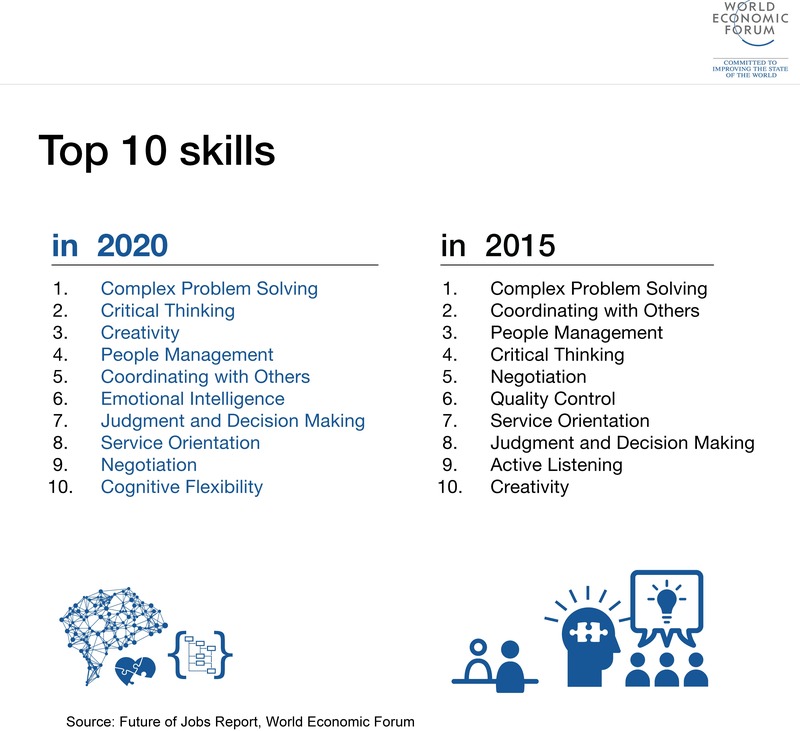 Experts from around the world agree: the skills needed in the future will look a lot different than they ever have in the past. Your leaders must master the human skills that technology can't replace. Technology has replaced our repetitive, easy, and predictable jobs. What's left are the complex jobs that require a human element to succeed: human skills like creativity, critical thinking, social intelligence and productivity and meta-skills like learning to learn, embracing change, working independently, and being a changemaker. These are the 21st century skills your leaders need to be developing in order to survive - and thrive - in the future of work. We have to deal with complexity and ambiguity, together. Study after study finds skillsets required at work are shifting and that the skills needed in the future are people-oriented and problem-solving-oriented. How often do you find the problems that you face at work involve a conflict between colleagues? Or a lack of influence over the decision-maker on a project? Or confusion on where to start for the huge international, cross-functional project? This is daily life for most people in the modern organisation. 21st Century skills will help you solve all of these problems. Skill Shift Automation and The Future of the Workforce.